South Africa has been tasked by the international motorsport body, the FIA, to host a candidate event of the World Rally Championship (WRC) in Kwa-Zulu Natal from August 16 to 18 2012 to test readiness. The bid which is being led by Kagiso Media subsidiary company, Kagiso Vantage, (previously Mobil Alliance),is the second biggest motorsport event in the world, after the Formula 1, with a world-wide television audience of 570 million viewers in over 200 countries. Positive signs of a successful bid emerged when the country. According to Murphy Morobe, CEO of Kagiso Media, a successful bid will augur very well for the country and Kagiso Vantage. “We are happy to support an international sporting event that will contribute positively to the country. During the 2010 soccer World Cup we proved our ability, as a nation, to put together world class sporting events. We have toiled very hard to reach this point to ensure that our bid meets the criteria, ” says Morobe. Following a ten year absence from Africa (the last one was hosted in Kenya, 10 years ago), the event is planned to take place in three areas of Kwa-Zulu Natal, namely the Valley of a Thousand Hills, Richmond and the South-Coast. The Moses Mabhida stadium will host the opening and closing ceremonies as well as operate as a service park. “Such events are crucial for developing the profile of the city and province as they do not just create good PR, but have other positive spin-offs, such as tourism and job creation. 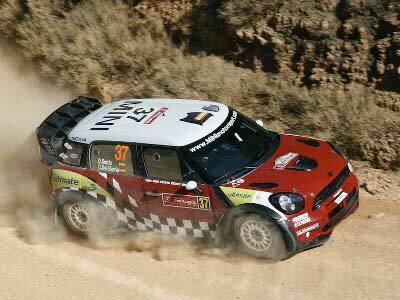 The WRC has a strong emphasis on tourism, with the event televised to a wide international audience. This exposure to these international markets over a three year period can only bode well for the City and the region” says Mr Sithole. 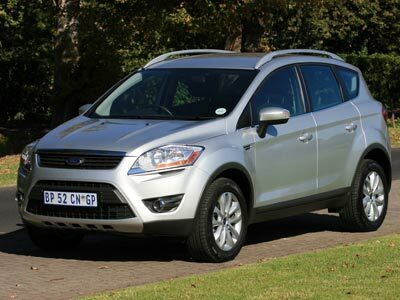 The Ford Kuga is the perfect wheels for the urban warrior and the mom on her taxi runs. It works well in so many ways and on so many levels. There are two models, Trend and Titanium. I really enjoyed the Kuga for the week that I drove her. Reminded me of my wife’s Freelander 1, just a much updated feel. It’s a smooth SUV which does everything effortlessly. It also feels just a bit more spacious than its direct competition. A premium car. The Kuga is not very light on fuel, but having said that I thought consumption was acceptable especially considering the power and performance available. Pity there is no Diesel available yet. Opening the bonnet is quite a little operation. First you have to disassemble your key. Then you have to try opening the bonnet lock with the tiny metal key that you removed in step 1. After a few fiddles, some choice language, perhaps a few laughs you do eventually get the bonnet open. Do not try this at night, in the rain or wind. This Ford is a little pricey. I discovered the seat warmers on a cold damp Cape winters evening. Lovely stuff. The rest of the interior is just as good. Switches are in the right places, work the right way and look and feel good. 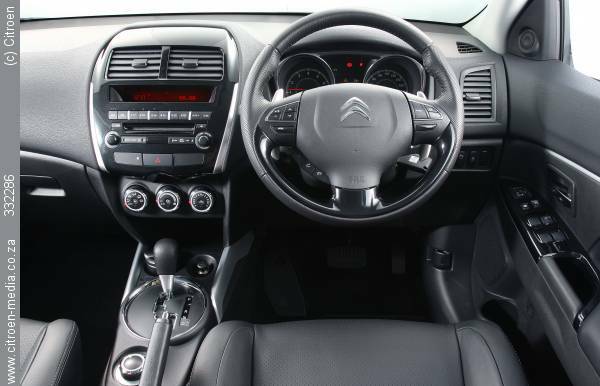 The seats are very comfortable and highly adjustable as is the steering. 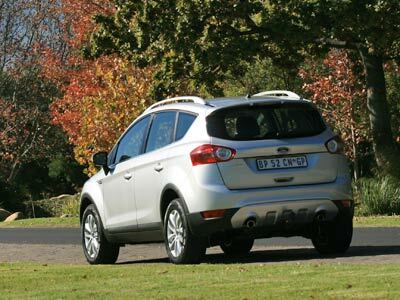 A good point of the Kuga is the handling and its road manners. This vehicle is a real pleasure to drive. 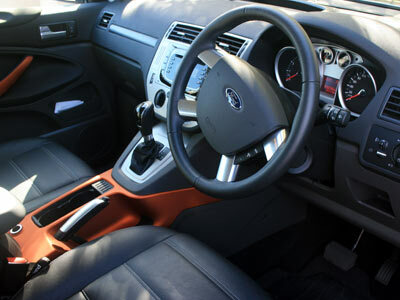 The Kuga has a feeling of space augmented by a number of cup holders and storage spaces. Volvo’s T5 2.5 5-cylinder turbo petrol engine is a classic bit of engineering. It is called the 5-cylinder 20V Duratec Turbo in Fordspeak. It fits very well into the Kuga scheme of things. It sounds suitably growly, almost like a V6. It pulls amazingly when on full song but is docile when pottering around the parking lot. Produces 147kW @ 6000 and torque of 320Nm @ from 1600 to 4000 rpm. You can feel it. The power on tap translates into a 0 to 100km/h time of 8.8seconds and a top speed of 205km/h. Ford claims an average fuel consumption of 10.3 litre per 100km. I got around 10. I loved driving this car. In slightly dodgy conditions it comes into its own with amazing grip, excellent acceleration and stunning handling even though its a tall SUV style car. Steering is well weighted and accurate. The brakes feel as if they mean business. It is very difficult to find fault with the on road performance of the Kuga. Cost R385 580 as tested. The Titanium model costs R406 850. Special deals are available at many dealers. The Kuga is very competent and a pleasure to drive. An excellent iteration of the SUV niche. It comes with a 4 yr/120 000km warranty, 3 yr/unlimited km roadside assistance and 4yr/80 000km service plan. The first production units of the all-new Chevrolet Trailblazer are now rolling off General Motors Thailand’s (GM) production line in Rayong. The range-topping LTZ model has the 2.8-liter Duramax turbo-diesel engine. The Rayong plant is the first in the world to build the new Trailblazer, which will be sold in Thailand and exported to more than 50 markets across Southeast Asia and beyond, including South Africa. 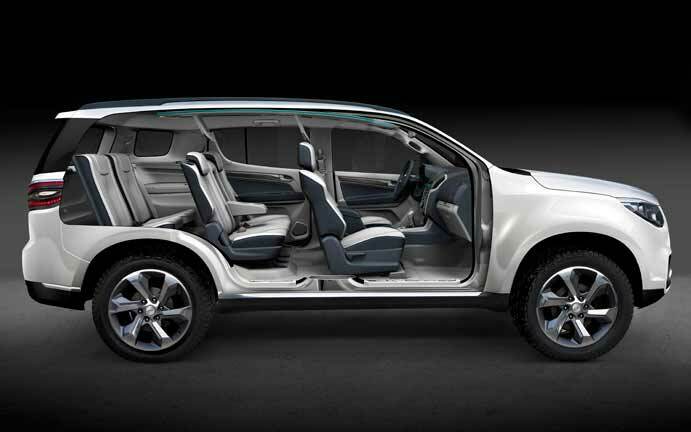 Based on General Motors’ new global body-on-frame midsize truck architecture, the Trailblazer is a seven-seater. GM says it has superior off-road capabilities. 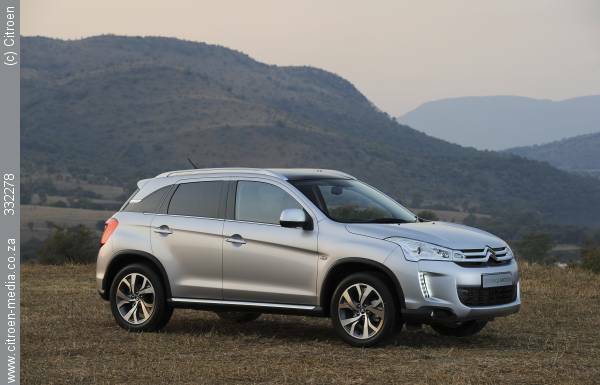 “The Trailblazer will be built in Thailand for Thailand, and soon also make its way into the rest of the world. And delivery of the Trailblazer to our customers in Thailand starts right now,” Apfel continued. Audi Centre Northcliff has deliveredf a brand new Audi R8 V10 Spyder to Bulls scrumhalf Francois Hougaard, who earned his 16th Springbok Test cap against England on Saturday. The car sponsored by Prime HP and Audi Centre Northcliff, is the largest car sponsorship of a South African sportsman. “At Prime Human Performance we assist in bringing out the best in individuals and leave no stone unturned in seeking excellence on the field of play. With our state of the art facility in Durban and access to some of the top sports scientists and clinicians across the world we firmly believe Francois epitomises the hard work and dedication it takes to reach the top. It is with this in mind that we at Prime HP have associated ourselves with the dynamic rugby player” commented Chris Wishlade CEO of Prime HP Europe. Athletic in design and dynamic in engineering, this striking supercar is a perfect match for one of the most exciting players in world rugby. Versatile and lightning-quick, Hougaard is equally at home as scrumhalf or on the wing. His blistering pace ranks him among rugby union’s most destructive runners, and fans relish witnessing his unbridled joy as he crosses the chalk to score a try. Chevrolet have been launching new models at quite a pace in recent years, often improving and refining models and then renaming them. The Sonic is very much an Aveo upgrade. When launched in 2011 GM offered a 1.3 diesel option, which sadly is no longer available. The Sonic is built by Daewoo in Korea, so build quality is good. The Sonic is just the right size for a starter family, with a decent boot and fair space in the cabin. It is a quite sporty looking car. The ugly dash with the most idiotic instrument binnacle you have or will ever see. It does not work too badly though. The steering is really odd. It works well except when you really want it too, which is round corners on a mountain pass and on slightly corrugated roads. It instills no confidence on the former and jumps and wobbles on the latter. Hopefully the test car was set up badly, with overinflated tyres and marginal wheel balancing and alignment. The cabin is filled with to me, unsightly hard plastics. Not a cabin to fall in love with. In spite of the bad points above the overall package is quite pleasing. The car comes with all the basic equipment as standard. You do not need to add anything. The Sonic comes well equipped with a list of interior accessories such as CD/MP3/Aux input, electric windows and a trip computer. The Sonic looks good from all angles but especially the front. The dimensions are right. The engine clutch marriage is a good one and acceleration in the context is fine. It is easy to drive. The 1.4 produces 74 @ 6000 (kW @ r/min) and 130 @ 4000 (Nm @ r/min) of torque, while the 1.6 does 85 @ 6000 and 155 @ 4000. Competition includes the Suzuki Swift, VW Polo and Ford Fiesta, not to mention Geely . The Sonic faces tough competition. The prices range from R159 900 for the Sonic Sedan 1.4 LS, right up to R181 600 for the Sedan 1.6 LS AT. 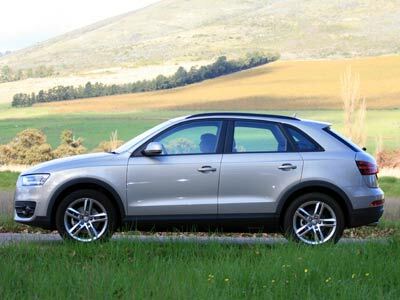 Audi makes interesting cars and the Q3 is very interesting. The Q3 is a Tiguan/ Golf/ A3 sized vehicle. You want to compare it to the VW Tiguan because it is so closely related, although Audi denies this. It is a little performance machine with decent road height and a great view and a huge grin factor. Put your foot down and point it in the direction you want to go and you know why this car exists. It is self explanatory. As a mom’s taxi curb climber the Q3 fits the bill perfectly. Urban warrior mom material this. Lovely. Except for that face. It looks like a bulldog that has just run into the tyre it was chasing. Somewhat squished. The only saving grace is the lights, with integrated LED daytime running lights. From the side and the back it is all smoothly flowing lines and steeply rakes windscreen and rear window. I like the normal waistline height. It is right on the button. It is a handsome car. 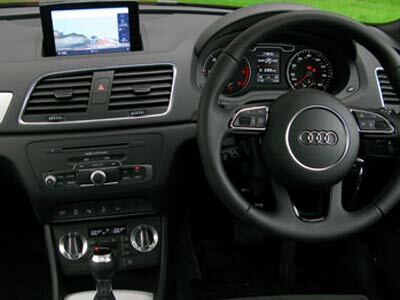 This car, like all Audis, has a beautiful interior. It is a place where I was very comfortable. 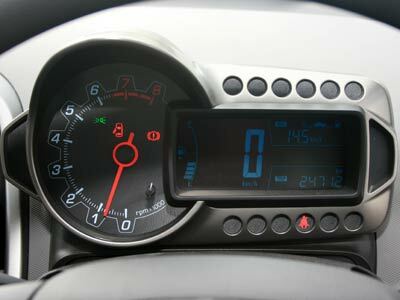 I like the layout of the dashboard and instruments and the way they feel and look. The subtle texture and colour contrasts of the materials used in the cabin lend it an air of opulence. There are very few cup holders and storage places compared to its competition. Little things like somewhere to put your sunglasses seems to be a glaring omission. Seat warmers seem to be a glaring omission on a little luxury car. In fact the seats are a little disappointing. Tiguan’s seats are more adjustable and more comfortable. The Q3 handles very sweetly. I found the ride a little harsh and bumpy, but not overly so. The steering is a little too light and vague for windy roads, but in town it is fine. Acceleration is nippy to say the least, especially in-gear pull away for overtaking. Claimed fuel economy is 5.9 litres/ 100 km , acceleration 0 to 100km/h in 8.2 seconds, and top speed 212 km/h. I believe them about the acceleration and top speed. The fuel economy is very optimistic though. I got around 8.2 litres/ 100km around town and with 70% highway use. The Q3 is a little expensive for its size and equipment levels to my mind. You can buy better value. The ride is too firm and choppy, I think. It seems to magnify any road irregularity. The effect is almost harsh. It does not have too many storage places like cup holders and sunglass trays. The boot is actually tiny, unless you fold the rear seats down. The Garmin GPS maps are woeful. It calls Cape Town International airport Tygerberg. Other Cape suburb names are as dodgy. Beware. I like the little central armrest for the back seat which can open up to load long items in the boot. Nice touch. The performance is excellent and fuel economy not bad. The fit and finish is Audi. It is superb. The look of the Q3, apart from directly in front is to my mind one of the most successful of the present crop of SUV/ crossover type vehicles. The Q3 is poised and well sized for most users. I liked the Q3, but I think the Tiguan and the Kuga are far better value. 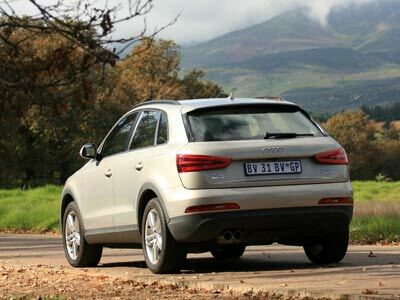 If you can afford the petrol Q5 it is asolutely worth it to upgrade. A sublime motor car. The car as tested was R502 950. 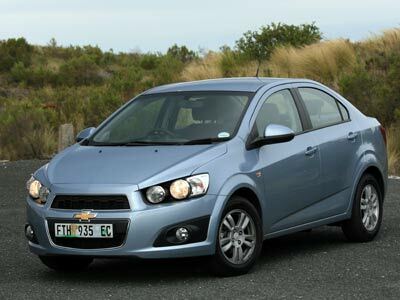 (List price R431 500) This price includes Park assist, automatic lights and wipers and GPS. It excludes cruise control, seat warmers, fully adjustable seats and connections for your iPad. Warranty 2 years with unlimited mileage.